Agency on Thursday on completion of its second segment, an Inter-Services Public Relations (ISPR) statement issued here said. Chief of Army Staff (COAS), General Qamar Javed Bajwa along with Governor Khyber Pakhtunkhwa, Engineer Iqbal Zafar Jhagra witnessed the rally and distributed prizes to the best racers of the second segment. and soft image of Pakistan. He said holding of such events in areas once affected by terrorism showed results of national sacrifices and efforts to bring back peace and normalcy. “Such events will promote adventure sports, showcase tourism potential and cultural heritage of the country”, he remarked. 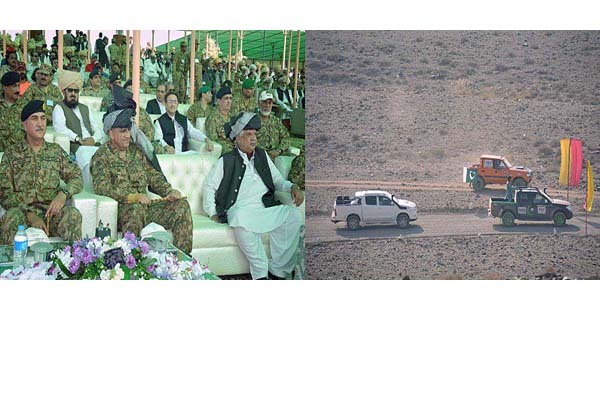 Besides civil and military officials, a huge gathering of local population witnessed the mega event in South Waziristan Agency. Planned in four segments, the rally is comprised of over 300 jeeps, 500 bikes and 150 vintage cars, drawn from 23 motor clubs. It kicked off from Khunjrab on October 21 and after passing through Gilgit, Islamabad, South Waziristan Agency, Quetta and Karachi, it is scheduled to culminate at Gwadar on October 31, covering more than 3000 km distance on routes and areas which are relatively less explored and less developed.